Take control of what goes into your food and make your own mince, sausages and Kibbe at home. 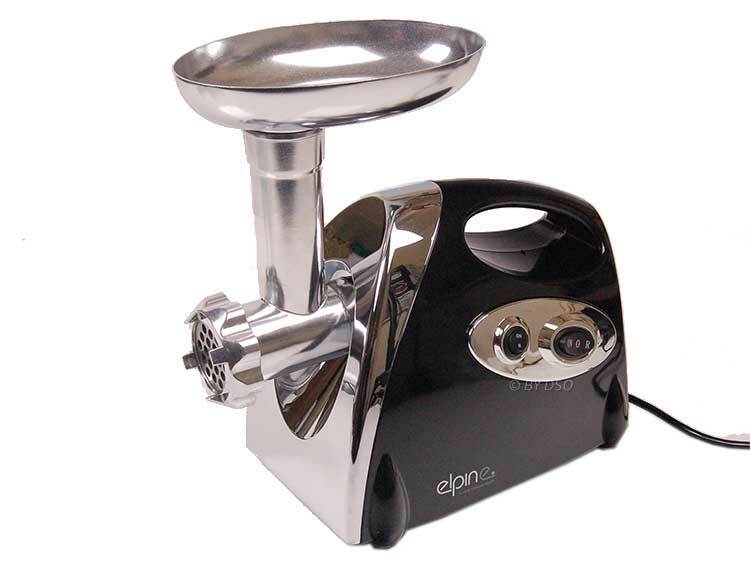 This electric meat grinder has an impressive three blades perfect for any meat requirement. Impress your friends at a BBQ by making your own burgers with the medium blade. Alternatively, use the coarse blade for more textured sausages, meat terrines and Kibbe (Kibbe is an Arab dish made of Bulgur, minced onions and ground red meat). High quality performance is enhanced with our free accessories with the electric meat grinder including a food pusher, Sausage adaptor and Kibbe attachment. The premium stainless steel cutting blades complement the sleek Black body of the meat grinder which look attractive in any kitchen.